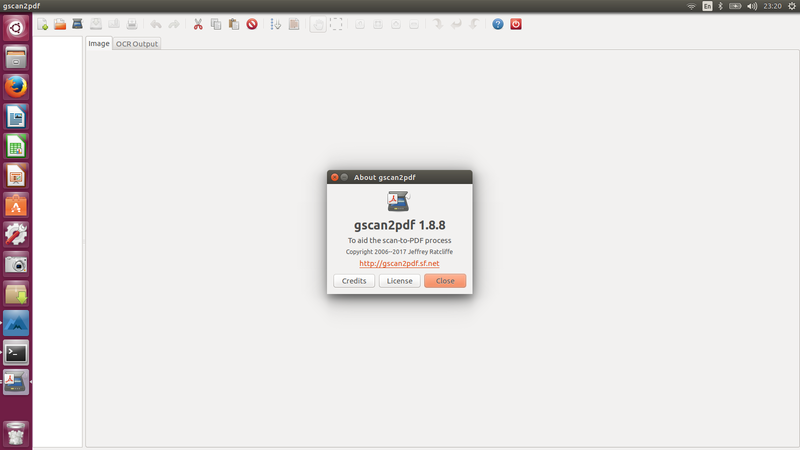 gscan2pdf is a GUI to ease the process of producing PDFs or DjVus from scanned documents. You scan one or several pages in with File/Scan, and create a PDF of selected pages with File/Save PDF. At maturity, the GUI will have similar features to that of the Windows Imaging program, but with the express objective of writing a PDF, including metadata. Scanning is handled with SANE via scanimage. PDF conversion is done by libtiff. Perl is used for portability and ease of programming, with gtk2-perl for the GUI. This should therefore work more or less out of the box on any system with gtk2-perl, scanimage, and libtiff. Filter out 1 and 2 digit integers from tool warnings. Show original message, not filtered message. Fix default value for unpaper script direction. Fix race condition updating widgets before they can be created after cycling device handle. Fix Perl warning about redundant argument in sprintf. The developer’s PPA offers the latest packages for Ubuntu 14.04, Ubuntu 16.04, Ubuntu 17.04, Ubuntu 17.10, Ubuntu 18.04, and derivatives.